>Sweet gelato lovin’ at Costco, SoMa, SF. | curated sf: Eat. Shop. Play. >Sweet gelato lovin’ at Costco, SoMa, SF. > 3 SCOOPS SERVED IN A WAFFLE CONE $1.50!!!!! We love Costco! It was ridiculously hot out in SF yesterday so I decided to stop at Costco (block away from work) for some cool, delicious gelato. Pistachio, strawberry and stracciatella. I remember having my first stracciatella when I was a kid. My Italian neighbors explained it! 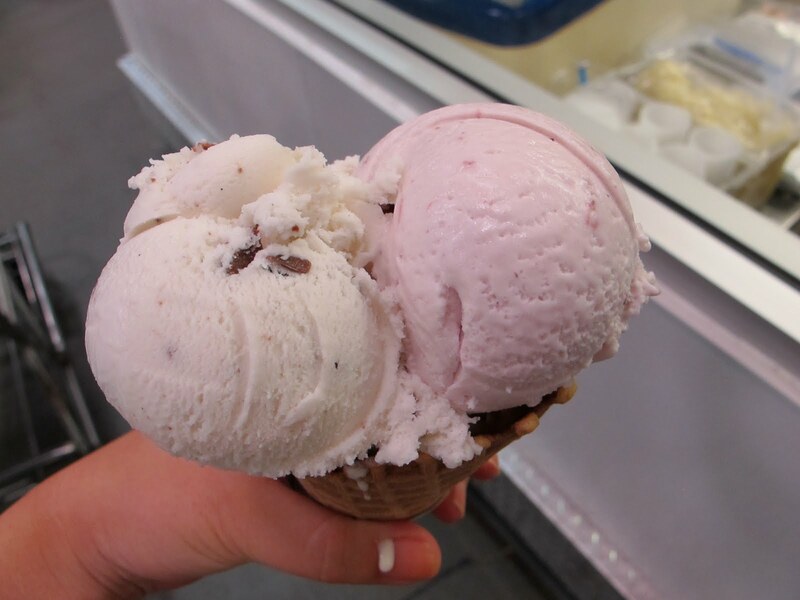 Stratcciatella and mixed berry. The mixed berry just tastes like strawberry. 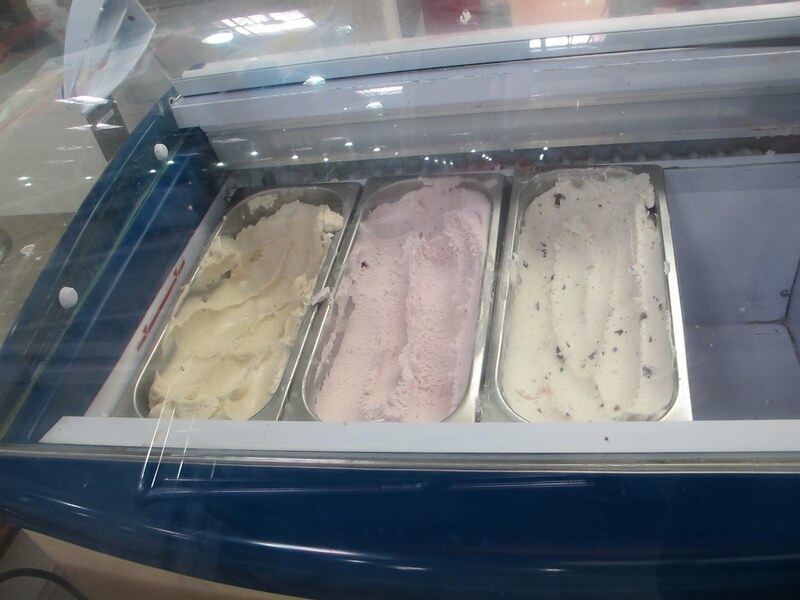 The flavors are all great and go really well together. 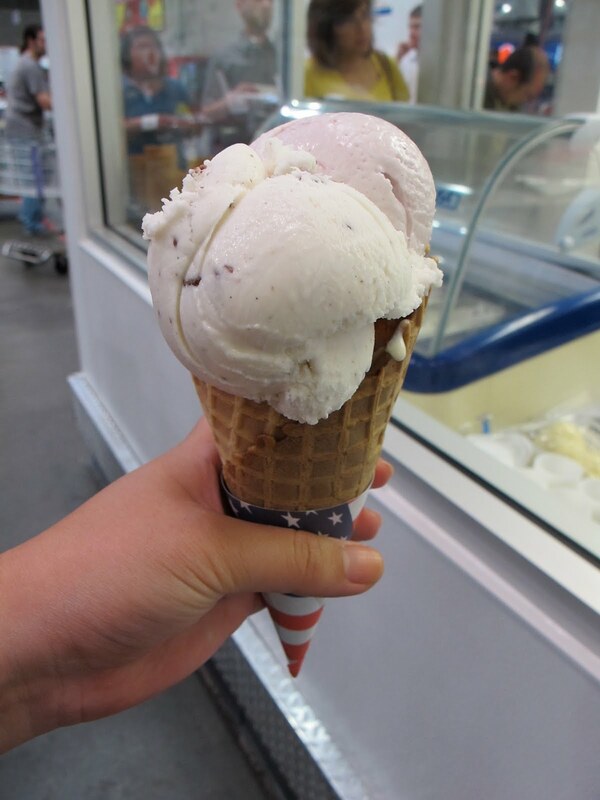 The cone is super yummy, too–it has a chocolate tip, of course! ;) Mmmmm. 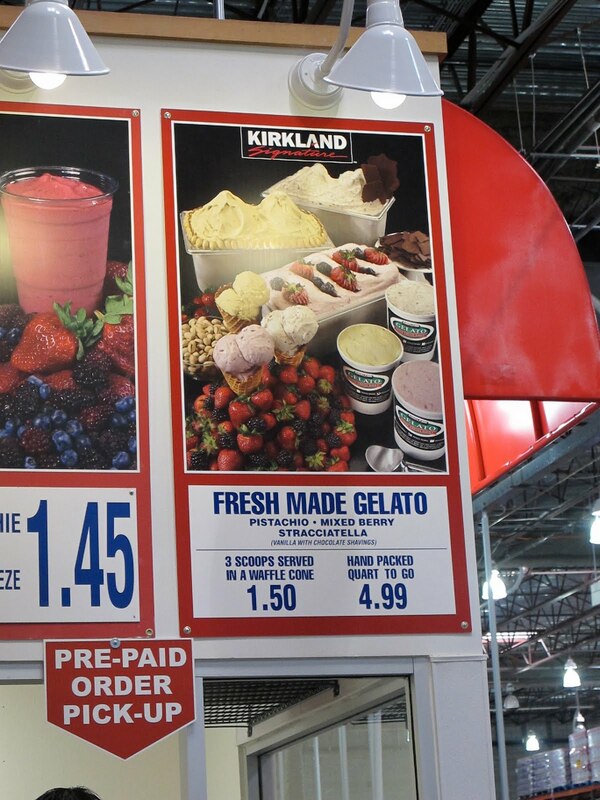 I’m lucky the Costco by my work has gelato. I first heard about it from some friends in Seattle and was bummed when Spokane didn’t get it! Spokane is Costco crazy, so I thought for sure, but it’s extremely limited. Check out the Costco Insider blog post here.